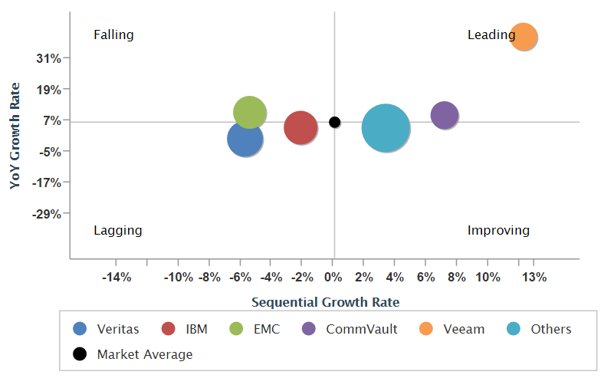 IDC just identified Veeam as the fastest-growing vendor in the U.S. Veeam is the only vendor placed completely in the ‘Leading’ segment in IDC Market Share quadrant, illustrating immense momentum during the first half of the year; Veeam recorded an amazing year-over year growth of 39% in the first half of 2016 in the U.S., and Veeam is targeting similarly aggressive hyper-growth rates in 2017. Who said we can’t grow and scale? These honors come on the heels of Veeam’s first big breakthrough of 2016 when Gartner named Veeam a “Leader” in the 2016 Magic Quadrant for Data Center Backup and Recovery Software. 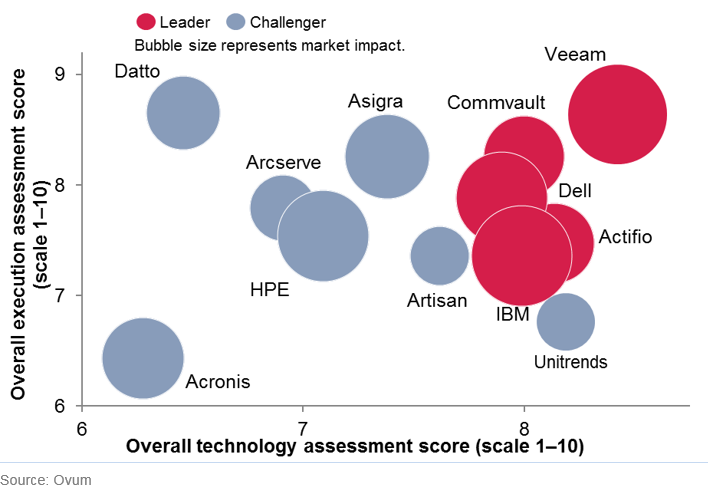 After just three years in the Magic Quadrant, Veeam has risen to the “Leader” position, and this is no small feat when you consider that it usually takes vendors many more years to achieve the same goal. This is a clear indication that our strategy is a winning one, with Gartner celebrating our vision and capability to execute. In addition to the recognition by the world’s leading analysts, Veeam has received more than 100 awards across the globe for product and company leadership, with new accolades coming on a nearly weekly basis. 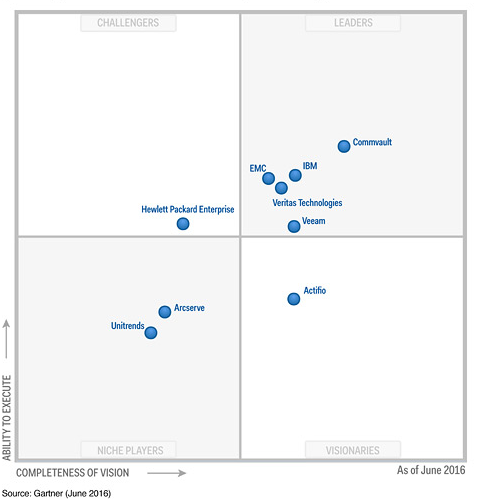 Customers, partners and the analyst community view us as the leader in Availability. But what’s Veeam’s ‘secret sauce’? Why do key influencers, customers and partners keep beating a path to our door? There is no single answer, but a combination of many things. However, arguably one of the most important factors is that we understand the challenges enterprises are facing in today’s highly virtualized, cloud-first era. As businesses embrace digital transformation, information, data and software are becoming core business assets that must be available anytime and from anywhere. Companies are therefore investing heavily in new environments like virtualized private clouds, managed clouds and public clouds to run their workloads - or to consume them directly from the cloud as a service – to gain unprecedented levels of agility, scale and efficiency at much lower costs. Ensuring one’s workloads and information are available 24.7.365 in such a complex environment is no easy task, and that’s why enterprises are turning to Veeam. With our new Veeam Availability Platform for the Hybrid Cloud poised to deliver the next generation of availability for virtual, physical, and cloud-based workloads, we are strongly positioned to keep moving aggressively forward in every region to enable companies to become an Always-On Enterprise. Our portfolio of solutions deliver the flexibility and reliability companies need… sorry, demand in today’s environment. The analysts recognize that Veeam delivers on these needs. Key media and influencers see Veeam as a disruptive force in the industry, and more than 215,000 customers have chosen Veeam to ensure the availability of their most critical assets. Who are we to argue with them?! Here’s to another record year in 2017.